It has been two weeks since Baahubali 2: The Conclusion was released in theatres, and like its formidable lead character, it has been ploughing through box-office records. The follow-up film is now India’s biggest blockbuster, having collected over Rs1,000 crore globally. Filmmaker SS Rajamouli’s grand vision has left Hindi cinema in the dust and its filmmakers wondering what they can do to catch up. Casting some of southern India's big stars, SS Rajamouli set up an original mythology courtesy a story penned by his father Vijayendra Prasad. 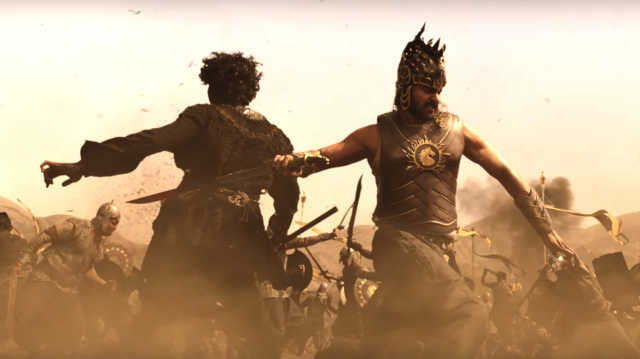 The sheer scope of Baahubali — from its fantastic kingdoms and the scale of the Mahishmati army to the superhuman strength of the characters — required special effects. Lavish costumes, sets, props, and hundreds of extras were vital to move the story forward. Five years in the making, both Baahubali: The Beginning and Baahubali 2: The Conclusion, have proved that Indian cinema has what it takes to compete on a global scale. Or have they? Baahubali 2, released in Telugu and Hindi, has grossed over Rs100 crore in North America after two weekends, becoming the first Indian film to do so. Not only is the film challenging the dominance of Hindi cinema in India, it is aiming to be that crossover global phenomenon across audiences speaking different languages who are used to Hollywood action blockbusters. A uniquely Indian story, Baahubali has been the talk of the town because of its extraordinary action sequences that needed visual effects to be effective. The result has been a mixture of real-world elements (puppetry, props, etc) with computer-generated characters and environments. But does it hold up when compared with recent Hollywood films like Fast And Furious 8 and Guardians Of The Galaxy Vol 2 that are slowly making their own mark in India? Some of the sequences in Baahubali 2: The Conclusion veer on the ridiculous, especially during the climatic battle sequence. There were many places where one could figure out the difference between the background (the digital environments and sets) and the foreground (the characters and props) and the lack of contact shadow in certain key places kept bothering me throughout the film. Meanwhile, in Marvel’s Guardians Of The Galaxy Vol 2, released a week after Baahubali 2, writer-director James Gunn demotes a fantastic opening action sequence in which the team battles a squirming, toothy monster Abilisk to focus instead on the computer-generated character Baby Groot getting his groove on in the opening credits. They can afford to do this literally! The Guardians Of The Galaxy franchise is seen as the fun, less serious series in the Marvel universe. However, there is no demotion in the film’s production budget, reported to be a cool $200 million. Marvel’s 2016 releases Captain America: Civil War and Doctor Strange had budgets of $250 million and $165 million, respectively. In contrast, the budget of Baahubali 2: The Conclusion is Rs250 crore (around $40 million). To get to the bottom of the issue, Cinestaan.com spoke to a few experienced industry professionals. Agastya Kapoor, who has worked for 17 years in computer graphics as a compositing lead in a leading animation and visual effects studio, does not think this is the best of Indian VFX. "I think the best can also be better," he said. "We should leave comparisons alone. We don’t compare the sun with the moon. We always make that mistake of comparing to [other films] like The Matrix (1999) and 300 (2006). It shows the hard work of the Indian artist who sits day and night [to finish their shots]. You can stretch talent even further." On time or money constraints, Kapoor believes that if you are smart, you can do double or triple the work in the same time. "I've noticed very bad green screens," he said. "The matte lines are visible, those are things that could have been fixed in half an hour. These were noticeable on the big screen for Baahubali 2. I saw the first film on an app on my mobile phone." Kapoor also feels this kind of work was being done when he started out over 15 years ago. That got him wondering, "Toh hum log wahan se yahan tak, abhi tak idhar tak hi pahunche kya [Have we only got so far since then]? We have so much international exposure and technical expertise, the software and the money. Hollywood does that one thing that they create WOW each time and they take it to another level." Kapoor says if you compare the Indian industry to that level, then we are far behind. "If you want to talk stand-alone, yes, we are doing amazing work," he said. According to him, VFX is not the reason why Baahubali is a hit. "It’s probably just 10% of it. The story matters the most [in its success]. The VFX does not matter to everyone, if you ask the audience. They are concerned with the mythological characters, the larger-than-life sets and the popular actors,” he said. "They are concerned with the grandeur in the story. That is always going to remain more in our country, our subcontinent. It is not going to change in our lifetime. Those who don’t know much about the VFX, they do not talk much about it." However, while praising the imaginative song sequence in the sky in part two, Kapoor does feel that the film is "a wonderful effort from the team, in whatever time and resources they had. It is a nice visual treat." Another professional, a skilled texturing artist (name withheld on request) who has worked for the past decade on international projects and Hindi films, talked about the large scope of visual effects for the film and its impact on the Indian industry. "In this less amount of time and money, they have created a huge movie. Hollywood puts in a lot of money in their films. It’s a very tough job to do," she said. The VFX has been upgraded, especially for the Indian market. "There are many jobless people who got jobs because of the film," she said. 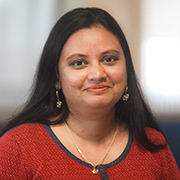 "India has many creative people, more so than [overseas]. All international studios have Indian artists. The Indian artist learns and upgrades [himself or herself]. For example, texture artists [here] used Photoshop for texturing; now they use MARI or Zbrush, and even [keep up] with rendering software like Vray and RenderMan." Over 30 studios worked on the VFX of Baahubali 2: The Conclusion, up from the 17 studios that worked on the first film. 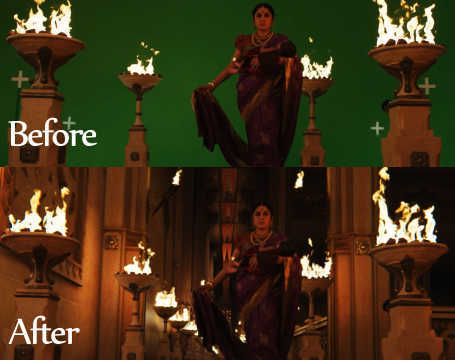 Most of the VFX studios in India have done some work for the series. 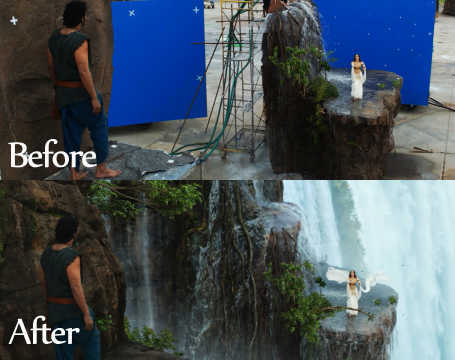 However, she did call out some scenes where the background is often blurred (and not required) and some places where the VFX was simply unbelievable, especially the battle scene when Mahendra Baahubali and his men go on the offensive and use coconut palms to catapult themselves over a moat. "You can use VFX anywhere you want, but there needs to be [logic] behind it, you can’t use it randomly like that," she said. "They [must] correct it. Even in Hollywood, if you see, [they take into account] physics and the gravity base. 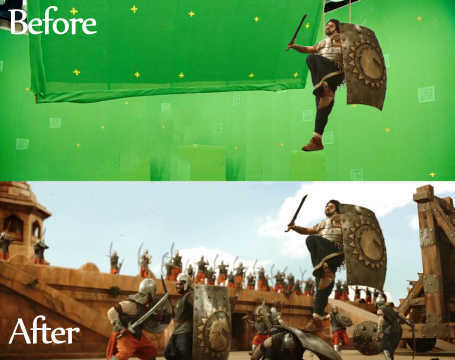 You can use fantasy in VFX, that’s why we are using VFX, right? But they have a finished and cleaner [version] in their movies." Another industry veteran (name withheld on request), a CG supervisor and technical director with 16 years of experience under his belt, feels that restrictions on time and budget may have played a part in why certain shots are under the mark. "The difficult shots have come out very nicely, because they must have received due attention," he explained. "It’s those shots that should have been really easy — like any tracking shot with backgrounds in the back, a single character walking towards the camera on green screen, those shots — the background and the character lighting don’t match up. It is something I think we will learn [from]." One reason why the shots (around 4,500 of them) don’t feel consistent is because they were sent out to so many studios. But he, too, feels most of the audience may not pay attention to this, because the story is more important to them. "If you look at it from the director’s point of view, he might have made compromises because he felt the audience may notice it but subconsciously they don’t get turned off, like, say, an American audience would. For us, in the Indian context, it is acceptable. We are used to seeing Mahabharat,” he said. He also praised Rajamouli’s concept and vision. "It is just amazing that they had the guts to do these kind of effects and they did it properly. They conceptualized it, it is not like a typical Bollywood film [where] the director is not at all involved. You see that this is one guy’s vision throughout the movie and he has a clear idea of what he wants to do. He has been able to guide the team very well. It is a nice cohesive [effort],” he said. Further, the appeal of the Baahubali films is very Indian, overwhelming as it is. It is precisely the thing that is winning over audiences, including new international fans. "I have always imagined what a Lord Of The Rings (2001) in India would look like. It would have its own unique Indian flavour, with all its tomfoolery and love of acting, in a way that is commercially successful. That is the soul that the director has found. It is like how cinema got adapted to India, this is like how VFX is adapting to the Indian ethos and mindset. We are using it as it should be if it is to be done in India,” he said. Baahubali: The Beginning and Baahubali 2: The Conclusion have staked their claim (in more ways than one) and set a standard for the Indian film industry. Will more films step up to the challenge, learn from this, and take it further? Time will tell. 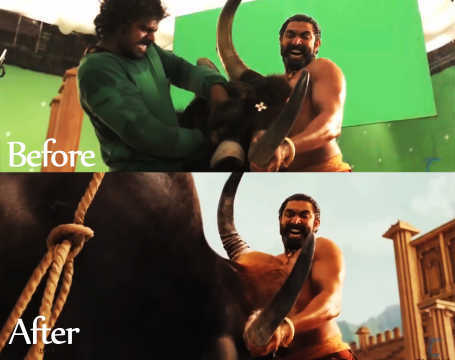 One thing is clear: Indian visual effects will be changed forever.